Does your mind feel a little foggy? Guided meditation for clarity can help. The fact is that when your body is calm and relaxed, your levels of focus and attention goes up. With more clarity, it becomes easier and quicker to make important decisions, whether at work or school or in your personal life. Do you feel like you’re stuck in a position that makes you mentally disturbed or emotionally upset? Or facing extreme stress which prevents you from sleeping during nights? Well, meditation is the only effective tool that is capable of combating these issues. The overall access to focus, clarity and intuition will be higher if you practice meditation long enough. 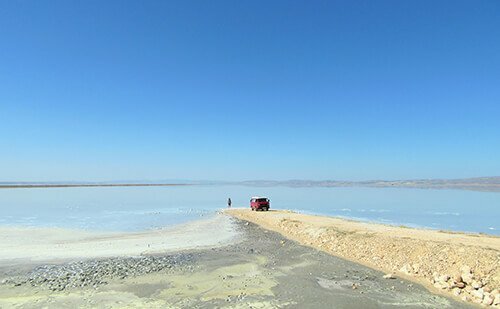 This is where guided meditation for clarity comes in. What is meditation for clarity? 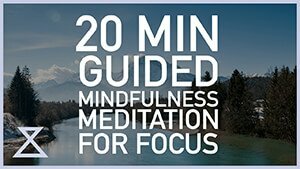 Guided meditation is a tool which can help to focus your mind on the present moment. Not only is this helpful for de-stressing and keeping you engaged in most present experiences, meditation can teach you to have more clarity and defog the brain. It does this by having you practice mindfulness. Mindfulness is about paying attention to the present moment and your thoughts, non-judgmentally. For example, a guided meditation may have you focus on the inhalations and exhalations of each breath for a long period of time, training your attention, and getting you out of your thoughts and rumination, creating some space and clarity in your mind. Studies are showing how meditation changes the brain physically, building new neural pathways and increasing the brains levels of gray matter. Getting more clarity in your day-to-day is sometimes just a matter of having enough mental energy and concentration. By physically changing the brain in this way, it becomes a little easier to have that clarity required. 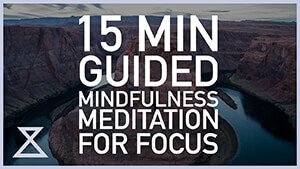 Plus, guided meditation for clarity trains your focus, making it a little easier to pay attention to the task at hand and thus, being able to concentrate for longer periods of time without feeling like your brain is foggy. Another major benefit of guided meditation is that it can improve communication skills, thereby enabling you to express your thoughts much more clearly. Additionally, it can help make times where you feel mental clarity last longer. Of course, meditation isn’t a cure all and there are other ways to improve clarity. A good way to train your focus and thus, achieve mental clarity, is to narrow your focus specifically on the breath while meditating. Whenever you notice the mind wandering, practice returning the attention to the breath. With enough practice, you can transfer this skill of noticing the mind wandering into your every day life. Knowing when you’re lost in thought, and bringing your attention back to the task at hand. Performing guided meditation for clarity regularly can also help you to keep your mind under control and keep anxiety, fear and depression at bay. Experts recommend performing meditation during the morning since there is usually less noise and distractions, making it easier to feel motivated to find time to meditate. Plus, most of us have most of our energy in the morning, so using this time to meditate will be easier and less taxing on you, especially if you’re regularly experiencing brain fog and states of low mental clarity. With enough practice, you may begin to notice less days where you feel like your brain is in a fog, and fewer times where you feel like you lack mental clarity. Guided meditation for clarity, which acts as an energy booster, helps in clearing doubts and confusion. This would enable us to execute tasks and perform decisions in an effective manner. Meditation helps in improving observation, expression and perception. Crystal clear observation indicates ability to get familiar with a specific situation. It assists an individual to distinguish right from wrong. 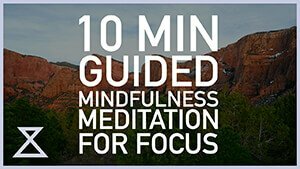 Guided meditation is indisputably one of the best ways to rejuvenate our mind and soul. Practicing meditation at regular intervals helps in eliminating negative thoughts and emotions. It assist you to stay focused while executing a specific task.